5 Questions for Diet Hacking Guru Robb Wolf « Adafruit Industries – Makers, hackers, artists, designers and engineers! 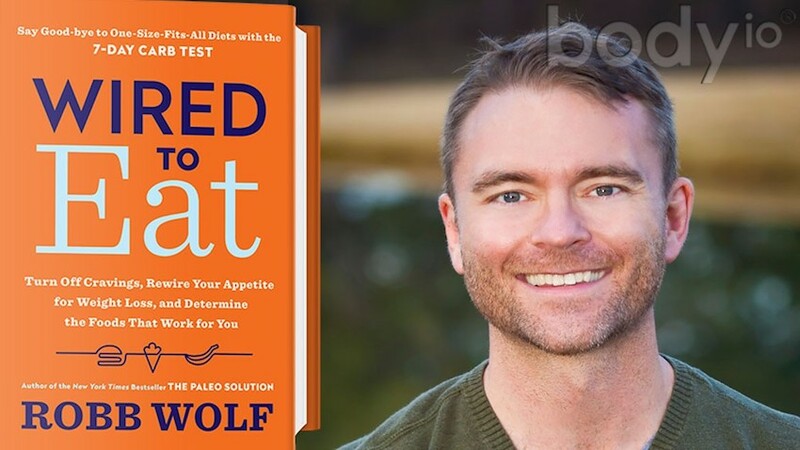 Robb Wolf’s latest book “Wired to Eat” is his second NYT bestseller. It provides a balanced view of nutrition looking both at the science and simplicity of how we eat. Robb was a biochemist before becoming an author and he encourages easy biometric tracking using a glucose monitor to find which carbohydrate based foods present a problem for an individual. At the same time Mr. Wolf also suggests eating unprocessed whole foods while dialing in our sleep, gut health, stress, exercise and community. Robb is a California state powerlifting champion and regularly coaches olympians in MMA, triathlon and much more. 1) If a sedentary programmer were having energy issues and trouble focusing what would you suggest to improve both of those conditions? Oddly, I’d look at sleep and sleep timing first. As important as our food is, circadian rhythm, the entrainment of light and dark cycles, is arguably more important. Lots of people, but particularly folks in the tech sector, tend to stay up to all hours of the night, have lights buzzing in their eyes, and this just savages their sleep/wake cycles and consequently, energy levels. I know it sounds like heresy, but I’d recommend that folks get into bed at most 2 hrs after sunset, get OUTSIDE early in the morning and get as much sun on their person as possible for at least 10-15 min. Do this for a few weeks and report back about relative productivity, I think folks will be surprised. 2) What type of in race fueling strategy would you suggest for a low carb athlete participating in multiple day endurance events (eg. running 200 miles)? This is a HIGHLY individual process, so I’m honestly hesitant to provide much detail here. Of critical importance is that folks have tinkered with all this in their training sessions. what macronutrient ratio do they use for a given elevation, duration and temperature? Have they properly factored electrolyte needs? Individual needs can vary by near orders of magnitude, so the closest one size fits all recommendation i can provide is to test ahead of time, have a game plan, and consider contingencies like weather changes, course degradation etc. 3) If a client of yours was following a low carb menu and achieving solid ketone readings (blood BHB @ [> 2 mmol/L]), but weight loss is not occurring. What changes would you suggest? 4) In your book “Wired to Eat” you recommend using a glucometer for a 7-day carb test. In you experience how reliable have the glucometers been? Have you seen them thrown off by taking supplements such as magnesium or a teaspoon of salt? All of these off the shelf glucometers have an inherent error of as much as 10-15%…it’s pretty appalling. That said, we use them to establish trends, not try to lock down Harvard level science. A critical feature of the program is that we do the same thing, same time, every day. In this way we minimize variables. So, if one is going to take a supplement, either do it later, or do it on all days, same way, same time. 5) What types of quantified self devices are not in the market place today that you would like to see available for consumers to track their own health? People will hate me for this but I am completely underwhelmed by the quantified self space. People have this sense that with “more data comes better decisions” but i have just not found this to be the case. I have found a less is more philosophy to be valuable here, so viewed from that perspective, something like an integrated CGM (continuous glucometer) + HRV (heart rate variability) would be incredibly powerful. HRV is a measure of our total allostatic load…how much total stress we are under, be that physical, emotional or nutritional. HRV can alert us to trends. The CGM can give us a good sense of blood glucose response not only to food, but also stress, exercise etc. the best case scenario is getting folks to use this information while paying close attention to subjective elements like cognitive performance, digestions, energy etc. I’d like to get people to a spot where they actually listen to their body instead of being tied to a gizmo, no matter how valuable that gizmo may be.